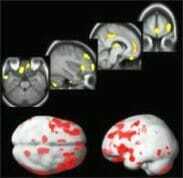 Bipolar brain imaging shows how the bipolar brain is different. The picture below shows a significant reduction in grey matter volume. It comes from a study of patients with bipolar disorder. It shows grey matter shrinking prefrontal and temporal regions of the brain. Click for bipolar brain study. British researchers confirmed this in 2007. They found people with bipolar disorder suffer from an accelerated shrinking of their brain. Imaging studies carried out four years apart showed loss of brain tissue in the areas controlling memory, face recognition and coordination. I know the picture and research above are alarming! Just four weeks of treatment with lithium increases gray matter volume in the human brain, according to a study by Wayne State University School of Medicine on the bipolar brain. There are many ways people with bipolar disorder can improve their mental and physical health and nourish the bipolar brain. It is the limbic system that controls emotion, motivation, memory and fear – the classic maladaptions of manic depressives. However, polls and surveys show that around two-thirds of the population still don’t know that mental illnesses have physiological causes! From left: view of a normal brain; patient with bipolar disorder has enlarged ventricles; bright white spots of hyper-intensity associated with bipolar illness. 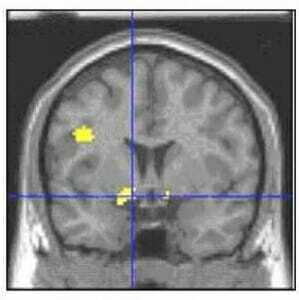 The left amygdala and related structures (yellow area where lines intersect) are part of an emotion-regulating brain circuit where children with bipolar disorder showed greater activation than controls when rating their fear of neutral faces. 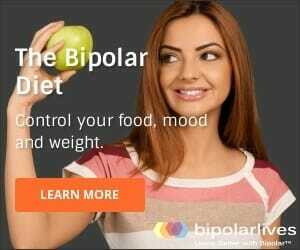 Some commercial entities promote Brain SPECT Imaging, arguing it provides graphic evidence that Bipolar Disorder is a biological problem and can be diagnosed at the physical level. HOWEVER, IT IS IMPORTANT TO REMEMBER IT IS STILL EARLY DAYS. THE MEDICAL COMMUNITY DOES NOT ACCEPT BRAIN IMAGING AS RELIABLE FOR DIAGNOSIS OF BIPOLAR, ADHD OR OTHER RELATED CONDITIONS. Even established experts using SPECT and related technologies still use patient histories and self-tests as a diagnostic foundation. 1. The studies have shown statistically significant amounts of people with mood disorders show certain brain abnormalities. However, although there there is a statistical pattern, there is still some overlap between people with mood disorders and the general population. This means that brain imaging cannot conclusively determine whether someone has a mood disorder. 2. The brain abnormalities found so far are non-specific and can also show up on people with quite different disorders, for example people with psychiatric disorders such as schizophrenia. “Through functional brain imaging studies, affective circuits have been identified that mediate manic-depressive illness. Key areas inclide the amygdala and related limbic structures, and regions of the basal ganglia.” Goodwin and JamisonHowever, given the problems with diagnosing bipolar, and especially the recent controversy over accurately identifying bipolar teenagers and kids, it is important that research continue. Are there any bipolar/brain research study programs in the Louisville, Ky or Nashville, TN area?